I have dieted. I have lost weight, slowly… It is frustrating to restrict your eating and then get on the scale and not see it move at all. Progress like that makes giving in so easy. But not on the Fat Release System. 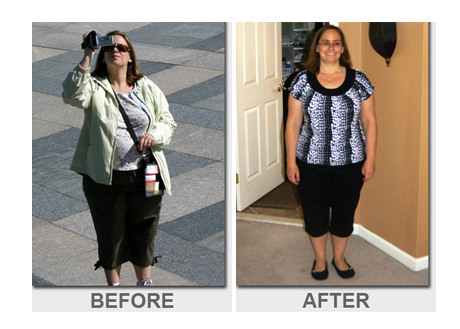 As soon as I started the Fat Release System, I started losing weight. The first week was amazing, 7 days, 7 lbs. Wow. I lost 23 lbs in 38 days and I was very thrilled with the results. Clothes that I haven’t worn in years (probably out of style) fit me. I dropped 2 pants sizes and 1 shirt size. The most incredible thing was being able to put on my engagement ring that hasn’t fit in 7 years. I feel fabulous and according to all my friends I look great. I don’t remember the last time I was able to put on a pair of pants and zip them up with ease. Yes, I was skeptical at first. A friend from high school introduced me to the program. I figured I could do anything for 40 days, so I decided to go for it. It was so easy. And remarkably I didn’t feel hungry or tired. Energized and excited would probably describe my mood during those 40 days. Now I am introducing my friends and family to the program. I hope they will take the opportunity to jump start their metabolism the way I have mine.